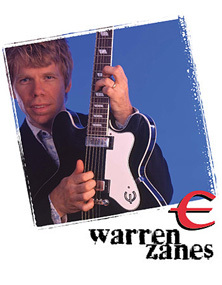 Back in 2003, singer songwriter and guitarist Warren Zanes released his Memory Girls CD to great acclaim. 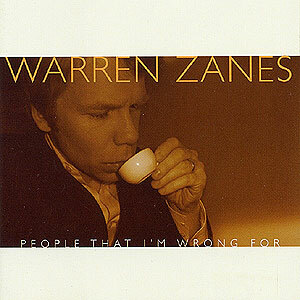 In the same veinand with that Zombies / Kinks pop edge still in mindWarrens 2006 People That Im Wrong For is an even more amazing album of 21st century pop-rock. Following his 03 CD, Zanes went on to work with the Rock And Roll Hall Of Fame and now in 2009 hes embarking on a new music education project with Little Steven that should be worth watching. In between both of his amazing pop albums, Zanes wrote a book about Warner Bros. Records called Revolutions In Sound, then editing a Tom Petty book called Runnin Down A Dream and is current release with his editing a collection about Jimmie Rodgers, set for release in 2009. With this kind of career, plus two young kids and his marriage to gifted pop chanteuse / genius animator April March, Zanes is on the fast track toward artistic nirvana. I must admit, after having a dreadful year in 2006, I somehow had missed People That Im Wrong For. However, upon hearing the CD for the first time in July 2009, Im quickly making up for lost time. 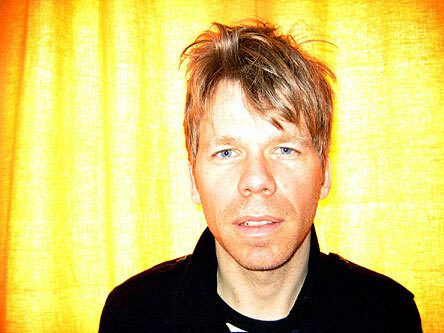 I describe Warrens music on People That Im Wrong For almost like a cross between Lou Reed and Brian Wilson. 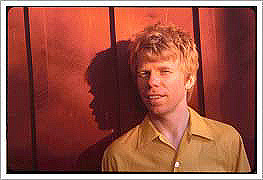 He clearly has Reeds sense of downtown introspective drama and gut level guitar philosophy and yet he also has an amazing sense of the pop hook in the same way Brian Wilson has crafted some of his post 88 pop works. Several tracks here, including the lead off track Jr.s Book Of Tricks, East Coast Time and Everyone Here Is Made Of Thunder are among the great songs of the millenniumfrom any pen. An excellent band kicks the delivery into overdriveincluding guitarist Daniel Tashian, Brad Jones (bass), Gabe Dixon (keys) and drummer Brian Owings. Luckily, how this interview all came about is that it turns out Warren recently penned the liner notes for the 2009 George Harrison compilation on Capitol, a solo years best of on the Beatles guitar icon called Let It Roll. And in his essay Warren mentions a Harrison influenceJohnny Farina of Santo And Johnny fame. After telling Johnny personally that Warren wrote about him in the George CD liner notes, I hooked up with Warren and thats when he sent me People That Im Wrong For, and I got caught up! 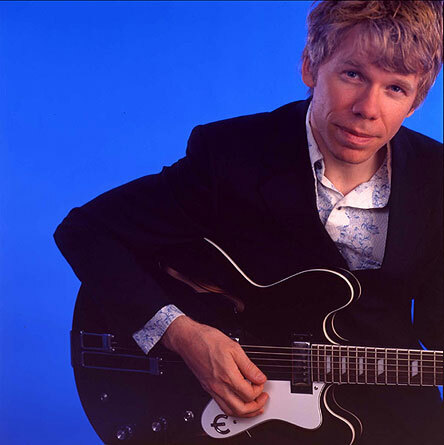 Fortunately, reconnecting with a great artist who impressed me six years back, I spoke with Warren Zanes, tellingly enough, mostly about our shared affinity of George Harrison and The Beatles, the upcoming George Harrison movie from Martin Scorsese, a bit (but not enough!) about his amazing People That Im Wrong For CD, upcoming work with Little Steven and more. 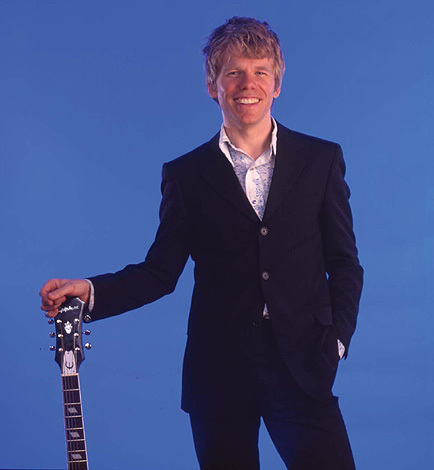 We even forgot to talk about what a fantastic guitarist Warren is, having honed his chops as far back as his recordings in his 80s band The Del Fuegos. Another interview for another day! The following interview was conducted and recorded to tape on July 8th, 2009. WZ: Where are you? Are you in New York? MWE3: Yeah Im out on Long Island in Little Neck. Its a real honor to speak to you. Im a big fan. WZ: Right, right well thank you. MWE3: How did you get involved with writing the liner notes for Georges new CD? WZ: That was an extension of doing work on the upcoming Scorsese documentary. I was helping out with the project and Olivia asked me to write a bio for the record company because their bio was outdated. And she read the bio and said, Oh, lets turn it into liner notes. So really it was one thing came out of another. But I grew up in a home where we had a great record collection. My mothers record collection. She had records by The Band, she had the Stones, Dylan, Woody Guthrie, Pete Seeger, Ian & Sylvia, some early rock and roll. And of course, at the center of it all was the Beatles catalog. And so when The Beatles started making solo records we were all over it. And George had a special place. And I remember my mother taking us to Manchester, New Hampshire. We were in Concord, New Hampshire. So like twenty miles away in Manchester was where they screened The Concert For Bangla Desh. So, Im the youngest of three, and she took us there to Manchester. There were maybe five other people in the theater. We were so excited that we were absolutely convinced that we were actually at the show. (laughter) We thought we were in Madison Square Garden as opposed to Manchester, New Hampshire. We loved this stuff. And we got the soundtrack. And we listened to those records a lot. We had All Things Must Pass. We followed this stuff. So, to grow up with George Harrison and then, in the middle of my life, to be writing liner notes for such a fine collection, its very meaningful for me. MWE3: I was really impressed. Its kind of difficult to put Georges whole thing into a single disc but I thought it was pretty good as a compilation. Were you involved with the track selection or anything beyond the liner notes? WZ: No, I was just doing the notes. So I was as curious about the sequence as anybody was. One did that they did that I think was very smart is they didnt just go for a chronological sequencing. They went more for a feel and they sequenced it like you would sequence a recording that somebody just did in a studio. You dont think about which track was cut first, you just think about the unfolding emotional drama thats contained in the songs. That makes for more of a real listening experience to me. And thats still fairly old...for a historical collection that covers such a wide span of time, to start with a later track. People dont typically do it. So I think it was bold and I think it was the right choice in how they were going to sequence it. But from what I understand from Olivia that the actual track selection, prior to the sequencing, was Georges friends. Olivia led the charge but his friends weighed in and I think on some level you can hear that too. Its not a straight up greatest hits collection. And I think greatest hits collections can get kind of boring. This one feels to me like its got a little more of a soul to it. MWE3: Like you say George was renowned for his humanitarian stuff, and his amazing friendships with Dylan and all these people. Maybe George has been overlooked as a real guitar innovator? The Beatles were such great songwriters that people didnt realize what great musicians they were. They sort of transcended musicianship. They made it look too easy. WZ: For a band that has been talked about so much...theres only one Beatles. Ive dont think weve been all that sophisticated in how we talk about them, so yes Im in agreement. Hold on one second...Sorry, my son, my four year old just came in the room...so Im going to bring him down stairs. Sorry about that. Yeah...looking at what he did with slide guitar alone... I mean his commitment to slide guitar... Theres not too many guys who used it so much and, within the idiom, he really came up with his own style. Primarily like really smooth single string kind of sounds. George loved Ry Cooder. Its very different from Ry Cooder and I think he made it work in a pop context like other slide players havent. You see slide a lot in blues playing or in the case of Ry Cooder, in deep folk and ethnic traditions. But in the pop context, you dont see anybody using so much slide. And behind that, another thing that interests me about his song writing, is just chord progressions. And I think all of the Beatles grew up on this music hall tradition. The chord progressions were so far beyond the I-IV-V of elemental rock and roll. And people talk about that in terms of McCartneys writing but I dont think people have talked about it that much in reference to Georges output. But he was writing some music that sounded simple, like a good pop song should, but was anything but simple. MWE3: Beatles songs were so strong that people almost didnt pay attention to the technique and how effortless they made everything sound. It was just like, how does it happen? WZ: Its so common place to get into the Stones versus The Beatles thing. But, I think that The Beatles could groove as a rock and roll band more consistently then the Stones could. The Stones had amazing moments and they were, they are obviously a great, great rock and roll band. But when The Beatles locked in there was a kind of groove that was so deep...its one of these things, its hard to give it a name but, its the sound these particular four players, playing together and finding a groove and just dropping down into it. They were unbeatable as a rock and roll band. MWE3: You mentioned the upcoming Scorsese film. Thats being planned now right? WZ: Yeah, and this is where Ive got to be careful about what I can say and what I cant. So heres what Im going to do. Im going to go online right now. Like, heres an article from Variety (Warren reads)...Martin Scorsese has committed to direct an untitled documentary about the life of George Harrison. They tell you who produces it. So I cant tell you too much about it, but it is being made. MWE3: So its like a documentary with real footage and new interviews? WZ: Yes. If you just put in Scorsese / Harrison and look at the Variety article. They did a release and then they stopped talking about it. But they did do one release so its out there. MWE3: I think its a long time coming, a good documentary on George. WZ: I think its going to be an amazing film. I havent see cuts. I just know something about the content. Hes just a perfect figure for this kind of thing because hes so much his own man that he defies stereotypes of the rock star at every turn. MWE3: I grew up in a period when they sort of meant more to me than anything. I didnt learn too much in school but I learned about The Beatles on my own. 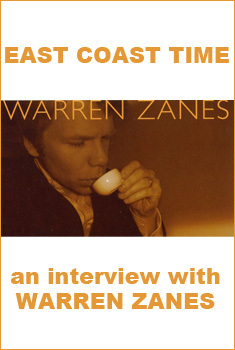 WZ: I would never understate what they meant at a particular moment in time. Im working on a project with Steven Van Zandt to bring a history of rock and roll to middle and high school students. And one of the reasons Steven wants to do this is that, like you, he grew up in that moment where the Beatles came along and changed his life. And he looks at kids today... And yes, culture is more diffuse and theres a lot more to the niche marketing but he still believes that young people can have that experience. But growing up when the Beatles first came around, is the best case scenario. They opened doors in peoples minds and then the way they evolved as a band so quickly but so confidently. Its stunning! In retrospect. I listened to the group records and the solo records over and over with my four and six year old and every time, Im just like...How does this music stay so fresh? Under the pressure of repeated listening? Thousands of repeated listenings and its still interesting. Its stunning. MWE3: I think the sociological impact of the Beatles arriving in America in early 64 is the ultimate example of instant karma. What happened to me...I was nine years old, Kennedy had just been killed, the whole world was like collapsing around. And the next thing I know, Im at my grandparents house in Brooklyn, in early February, two months later, and the next day after the Ed Sullivan show, the whole country is wearing Beatles wigs! It was like beyond music. WZ: It was...music won the day. MWE3: They gave us hope. Cause it was beyond music. It was a sociological phenomenon. So I totally hear what Steven is saying. One more thing about Georges CD? I was totally impressed with George Martins sons mastering on that. WZ: I was fortunate enough to be at the Abbey Road to watch George and his son listening to multi-tracks together. I sensed that they had a language between them that could be transmitted without too many actual words passing. It was an intense scene to see. Giles has the best possible teacher to understand The Beatles, their sound and their beat. And you can hear it. MWE3: I know theres two new Beatles box sets planned, including all the mono masters of the U.K. releases. Are you going to be involved in that? WZ: I dont know anything to speak of there. The Beatles have their inner sanctum. I stand on the outside as a fan. (laughter) But its exciting. MWE3: Im a huge Beatles collector so I already have all the mono mixes, including a killer mono mix of Abbey Road. Have you heard that? WZ: No, I havent. If you start Little Steven on this topic, he will just rant about how you need to listen to it in mono. I agree, I love the passion of the fan. MWE3: Theyre different mixes with different fades. The greatest song ever made in mono, in my opinion is the single version of Revolution. They sound great on my vintage CD players from Japan. I collect the vintage early 90s ES series. WZ: Youre the only person I actually know who does vintage CD players! MWE3: Its a big market on ebay for the ES players. Anyway, Im glad you mentioned Santo And Johnny in the George Harrison liner notes. When I told Johnny that you mentioned him and his brother in the liner notes he was really thrilled. WZ: He must have heard George raving about Santo And Johnny before though right? MWE3: He didnt know he was in the liner notes. WZ: Send me his email. Ill send him a note back. On another subject area, back in the 80s, we did a lot of shows with Los Lobos....and David Hidalgo, in that band, is one of the best musicians out there. And I remember them playing at various sound checks, he would break out his lap steel. It was just a standard lap steel, not a pedal steel. And would do Sleep Walk. Hes just one of these god given talents. And he could play it with so much feel that you really got the emotional character of that song when its done right. I think that was the thing that made me really see the beauty of Sleep Walk and go back to Santo And Johnnys stuff and fall in love with it again. But David is just a great interpreter of the stuff. MWE3: Al lot of people were influenced by that instrumental. Its got a timeless and very nostalgic kind of element to it. So tell me, why did you go from working at the rock hall of fame to working now with Little Steven? WZ: Ive been very lucky in my work. I was playing in rock bands and left music to go to school. I have my Ph.D. And then suddenly what I found was that two things were coming together. I made my first solo record and I wrote a little book. And I was teaching at the same time. And I was writing about rock and roll more for scholarly journals. 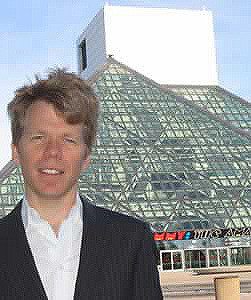 It all started coming together, so that the rock and roll was coming, the academic work, and they were blending...and thats what attracted the Rock And Roll Hall of Fame. And after that, Little Steven was one of the interviews that I did while I was at the hall of fame. I did a whole lot of interivews. Amazing people, from Hal Blaine to Little Milton to Robbie Robertson. Its not that I need to be convinced of the validity of popular musics culture. I really saw that these stories are undertold! We know the music but we dont know a lot about the people who made it, where it came from, the people who helped to make it but didnt get their names on the record. And that just sucked me in more and more. I just got interested in this culture of popular music that is under discussed. And I was lucky enough to be tapped for the vice president job at the hall of fame. And they were saying, Hey we want you to keep writing, we want you to keep recording. Come in here and you can be a professor at Case Western and work at the museum. I just got lucky. I feel like I gotta be grateful for the fact that my interests came together in a job up here that allows them to stay together. Just lucky stuff. So I keep crossing my fingers and things keep coming my way. Like the work on the George Harrison stuff. Ive been doing work with Tom Petty. And then Ive got an edited collection of writings on Jimmie Rogers coming out. So its running the range, all music focused. Its just a matter of me doing what no career counselor would advise, which was holding two seemingly incompatible interests together. Rock And Roll and the class room. Despite the fact that no one would have advised that I pursue both tracks, they kept coming together in productive ways, so I feel like the latest work with Little Steven is really a culmination of everything Ive been working on. To keep things fresh I keep writing songs. I want to carve out a little more time so that I can make another recording. And I always keep writing. 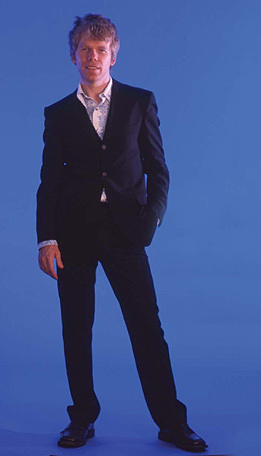 And so Im looking in to a big Tom Petty project over the next couple of years. Its all the music I grew up with. Getting to write about it or listen to it, teach it. Best case scenario. 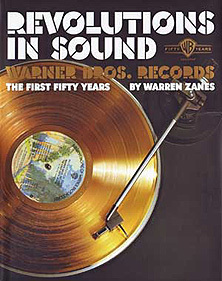 MWE3: Tell me about the Warner Bros. Records book you did, the Revolutions In Sound book. WZ: Yeah, well there was one about the film studios that came out and this was...I wrote the book. It was 50 years of Warner Bros. Records. I did a book and then there was a ten CD box set that came out. And I did extensive notes for that. 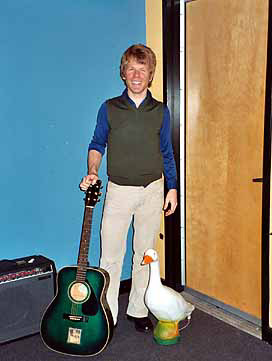 Back in the 80s, my old band was on Warner Brothers so there was a personal interest in wanting to do that project. But I also think its a fascinating history. I love the stories about the labels. I mean, if you think the bands are filled with kooks, you oughta look at the labels! (laughter) And thats what I love! I love the fact that when rock and roll came along there was no model of how to record it and release it and promote it. It had to be invented. And the majors, because they passed on it initially, it went out to the indies. And there, youre talking about the wild west! So suddenly you have a lot of Jewish American entrepreneurs who were otherwise marginalized. Theyre creating something brand new! An amazing music that is in itself brand new, emerges. And the Warners story, despite the fact that it unfolds on a major movie studio lot, is a very odd story. How it happens... But I feel, what you learn about in the Warner Bros. story is how the spirit of the indies finally migrated into this major label territory and you had the wild west happening in the mainstream. So youve got Frank Sinatras label with The Fugs and Frank Zappa happening at the same time. Thats incredible. WZ: All the subsidiaries...Capricorn, Bearsville...the whole family there. MWE3: With Little Steven...being rock and roll is only 54+ plus years... The guitar isnt new. Where does the curriculum begin...? WZ: We go back to the roots, so it definitely goes back further. But a big part of the mission is to recognize the connection between rock and roll and the social, cultural, political world that is the backdrop to its birth. So when we look at 1954 and Elvis first single, were also looking at 1954 as the moment of Brown Vs. Board Of Education and exploring what we can learn about the connections between the two moments. Cause Brown Vs. Board of Education of course, is about desegregation of the schools. Elvis first single, one side of it comes out of black tradition, one side of it comes out of white tradition. As everybody knows, with Elvis there was this white guy singing in a black style. So somethings happening with race in the United States in the mid 50s. In popular music, in politics, in the schools that prefigures the civil rights movement. And in our view, you cant understand what happens with race in this country if you dont study popular music. Because in a lot of ways, the music broke down the emotional barriers that needed to be broke down before civil rights could really unfold as it did. MWE3: You touch on some interesting thing with that race relations thing. And I think music really helped, more than anything, break those barriers down. WZ: But also let's look at post World War II youth culture. You cant really grasp what happens in terms of the demographic upheaval of that period if you dont look at what music was doing. The role that music played. The way in which music in that moment was the megaphone used by this new powerful group. These teenagers from the 50s suddenly...there they are! They can vote, theyve got their own views very distinct from the parent generation. Theyre rejecting a lot of the values that are handed down to them. And how do they speak about these changes? More often then not, they do it through the music. So, study the music and you get the culture, you get the politics, you get the societal shifts. So thats what were doing with Little Steven. Its really using music as an inroad. Social studies, language arts... We can even take it up to science and look at the evolution of the electric guitar. So were using... A lot of music programs are being cut in this day and age. Were bringing music across the curriculum so that students see that its much more than entertainment. Its a way to talk about culture as a whole. WZ: Its going to be a huge web based project. So itll be the curriculum that teachers can access through the web. But were working with Scholastic to get it out to teachers. Right now were developing the material and then next year well do some pilot phases and then the year after that well start really delivering it. Not a lot of people know the story and youve got plenty of kids growing up now. They really cant even reach back into the last century. The musical turnover happens so frequently. Theres a lot of a-historical thinking, put it that way. So tracing the roots of what theyre listening to today is counter intuitive, even thought the artists theyre listening to today can do it. Really its like, if theres artist with a substantial career, they know where their music comes from. Part of Stevens project is harnessing those voices, getting the artists of today to talk about the roots of their music will take us back to Ray Charles. Use the power of the contemporary artist in order to help get the stems connected to what came before. And in the process youre helping them to learn to think historically which, if you can teach a young person that its a tremendous gift.